BARC organises lots of awareness raising and fundraising events. Many of these are vegan outreach events such as vegan bake sales, vegan pudding evenings and the hugely popular vegan chocolate tasting evenings (where people have practically been queueing down the street to get in!) 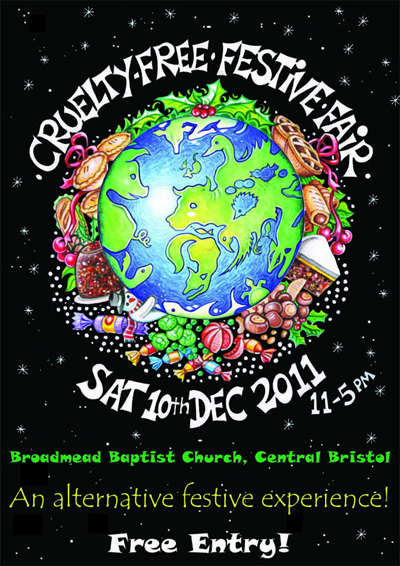 to larger events such as free vegan food fairs and a cruelty-free festive fair. These are all fantastic ways to show people who may not have tried much vegan food before just how tasty, varied and healthy it can be. They are also a brilliant opportunity to remind people of the suffering inflicted on the animals that end up on their dinner plates. Feedback from our events have shown a large number of people cutting out or cutting down on animal products in their diets. We have also held a number of information events, such as badger evenings, with films and talks about the proposed badger cull, and vivisection evenings where we have shown films about animal testing and have had expert guest speakers talking about the science (or lack of!) behind animal experiments and some of the national campaigns against vivisection. We sometimes hold film screenings on topical subjects and have shown films such as Sharkwater, Peaceable Kingdom and Earthlings. 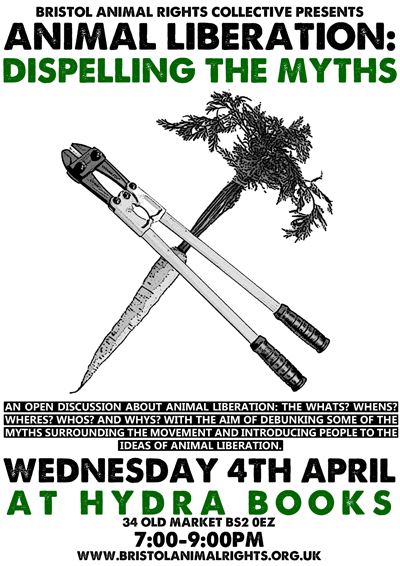 We have had some interesting and well attended discussion events around the concept of Animal Liberation and a talk from a founding member of the Black Fish campaign. We organise a number of benefit gigs, ranging from punk to acoustic and much in between, to raise money to carry on the fight for animal liberation.